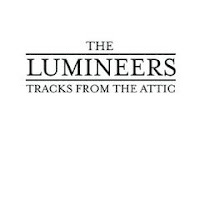 If you like the rustic stomp and clap of Americana folk revivalists and the raw, emotional vocal stylings of bands like The Avett Brothers, Old Crow Medicine Show and The Devil Makes Three, then you’ll find much to love in the “tradition meets today” sound of The Lumineers. Acoustic guitars, mandolin, piano, back porch percussion, gang vocals and lots of heart all contribute to the fun, down home sound the trio creates. They just released their self-titled debut full length earlier this month and have also put their 4 song EP, originally called The Lost EP but redubbed here as Tracks from the Attic, up on NoiseTrade. Tracks from the Attic is a great peek into the earlier stages of a couple songs (“Classy Girls” and “Flapper Girl”) that made it to the full length and a couple (“Elouise” and “Soundtrack Song”) that are exclusive to this release. With pounding rhythms, singalong choruses and lyrics that mention Romeo and Juliet, Elvis and The Talking Heads, Tracks from the Attic will definitely put a smile on your face and a stomp in your boots. Also be sure to check out the video of “Ho Hey” below. 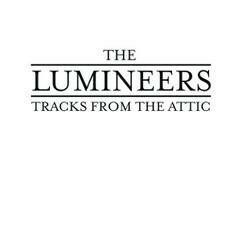 It’s the first single from The Lumineers self-titled debut full length, currently available through all major retailers or directly from the band here.